"Girl in Translation" is a story of hardship and triumph, heartbreak and love, and all that gets lost in translation. Bestselling author Jean Kwok will speak at Wright State University on Monday, Sept. 10, at 7 p.m. in the Student Union Apollo Room. 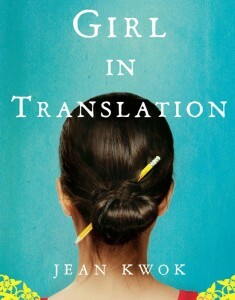 Kwok’s novel Girl in Translation is the university’s Common Text for the 2012–13 school year. Following her lecture, “Translating Worlds: Classroom by Day, Sweatshop by Night,” Kwok will sign copies of her book. This is the first year that the Common Text program has featured a fiction selection. “It features universal themes that resonate with first-year students, such as fitting in in a new environment,” said Maureen Barry, Wright State’s first year experience librarian. Kwok emigrated from Hong Kong to Brooklyn when she was five and worked in a Chinatown clothing factory for much of her childhood. She won early admission to Harvard where she worked as many as four jobs at a time and graduated with honors in English and American literature before going on to earn an M.F.A. in fiction at Columbia University. Her debut novel Girl in Translation (Riverhead, 2010) became a New York Times bestseller. It has been published in 17 countries and chosen as the winner of an American Library Association Alex Award, a Chinese American Librarians Association Best Book Award, an Orange New Writers title, a National Blue Ribbon Book, a John Gardner Fiction Book Award finalist, a Barnes & Noble Discover Great New Writers Pick, and an Indie Next Pick, among others. When Kimberly Chang and her mother emigrate from Hong Kong to Brooklyn squalor, they speak no English and own nothing but debt. Kimberly’s talent for school does not pay the bills, and she quickly begins a double life, carefully hidden from the outside world: an exceptional student by day, she is a Chinatown sweatshop worker by evening and weekend. Disguising the most difficult truths of her life—her staggering poverty, the weight of her family’s expectations, her love for a factory boy who shares none of her talent or ambition—Kimberly learns to translate not just her language but herself back and forth between the two worlds she straddles. Introducing a fresh, exciting Chinese-American voice, Girl in Translation is an inspiring debut about a young immigrant in America, a smart girl balancing schoolwork and factory labor, custom and desire, a girl who is forced at a young age to take responsibility for her family’s future, with decisions she may later regret. Through Kimberly, we feel the shock of a new world and the everyday struggles and sacrifices of recent immigrants—and through her, we learn to understand how these experiences can ultimately shape a life and the choices one makes. Like Kimberly Chang, author Jean Kwok emigrated from Hong Kong as a young girl, and she brings to the page the story of countless others who have been caught among the pressure to succeed in America, their duty to their family, and their own personal desires. Girl in Translation is a story of hardship and triumph, heartbreak and love, and all that gets lost in translation. For more information about Girl in Translation or the Wright State University Common Text Program, visit http://www.wright.edu/uc/firstyear/experience/common-text.html.